In the words of ESPN’s late, great Stuart Scott, Nigel Hayes was as “cool as the other side of a pillow” in Fridays win over the North Cobb Warriors sinking two free throws with six seconds remaining in regulation to seal the win. 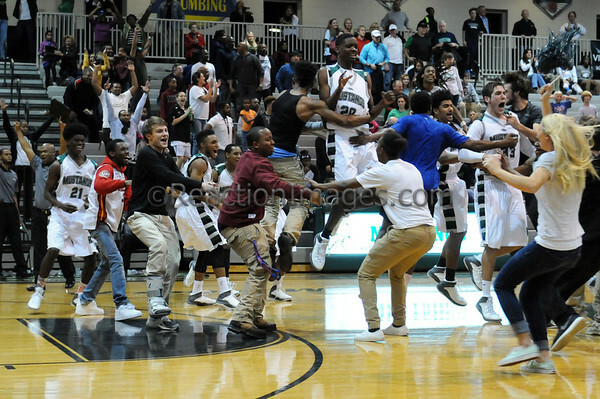 The Kennesaw Mountain bench reacts to a come from behind, 3OT victory over arch-rival Harrison on Friday night. 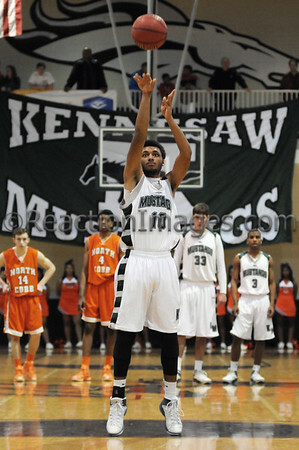 Despite being down by as many as 14 points in the first half, the Mustangs fought their way back in the second half to tie in regulation, then hit key shots and free throws in each successive extra period before winning in the the final OT. Harrison BV win 1-0 over Campbell in tight defensive match. 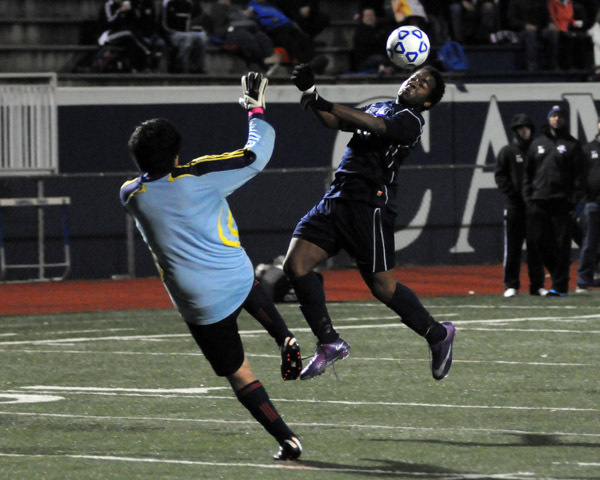 Goalkeeper interference is ruled as Harrison senior Kennet Fosuhene challenges for the ball. Seconds later, teammate Nathan Keminski buried the penalty kick into the right corner of the goal for the lone score of the match, securing the Hoya victory. 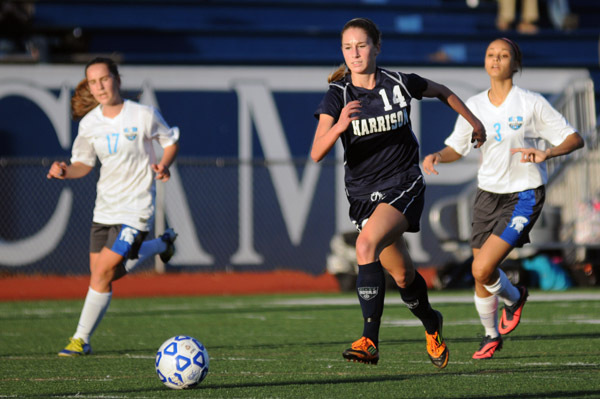 Aubrey Tanner drives in for one of six Harrison goals in the Hoyas region win over the Campbell Spartans on Friday night. Hoyas Girls Varsity team remains undefeated as Region 4-AAAAAA play heats up. Harrison GV defeats Walton 1-0 in early season soccer play. 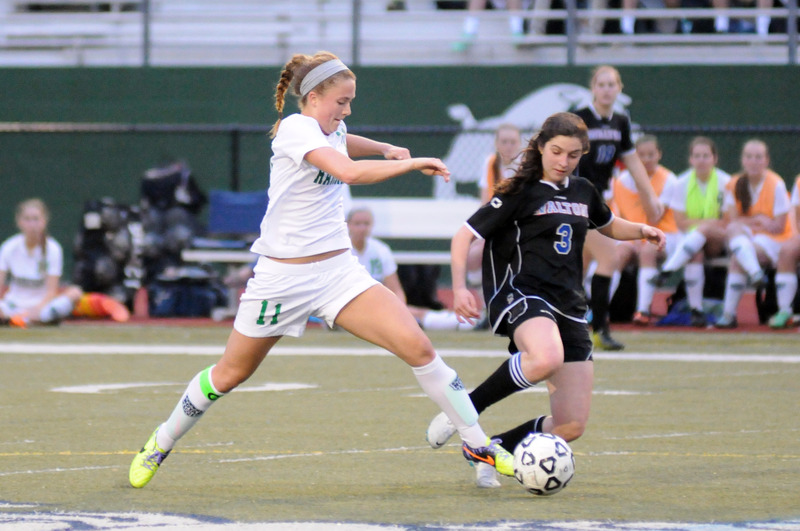 Co-Captain Paige Porter strides to the defense in Harrison’s 1-0 win over the Walton Raiders. All match images are posted on the ReactionImages website.